Though the “official” camino is over, I feel like it is extended a little as I am here visiting Guylène of the lovely voice, and kind heart, who I met at the end of my first day on the camino, at the albergue in Orisson. I liked her imediately. 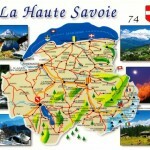 She lives in the Haute Savoie, a department of France, and as Guylène says: Le plus beau département de France. 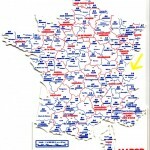 It is the home of the French alpes, including Mt. Blanc, the Mt. Blanc tunnel, and many ski resorts including Chamonix. Switzerland is to the north and Italy to the east. 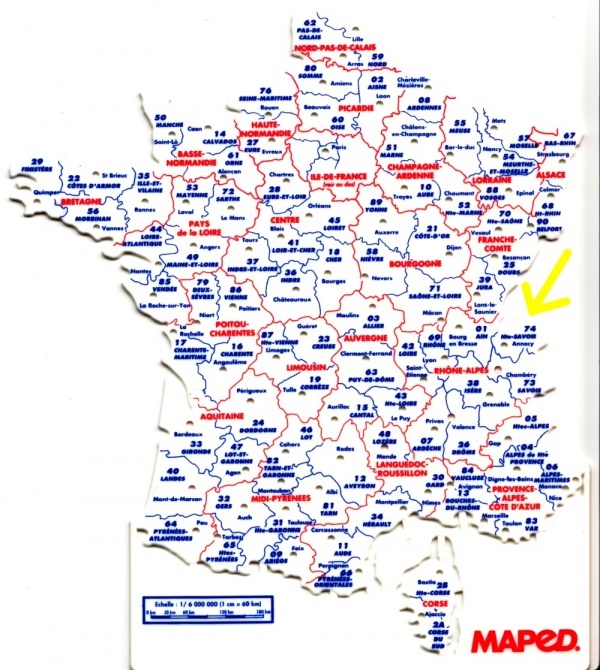 It is department #74 on the map of France (follow the yellow arrow). 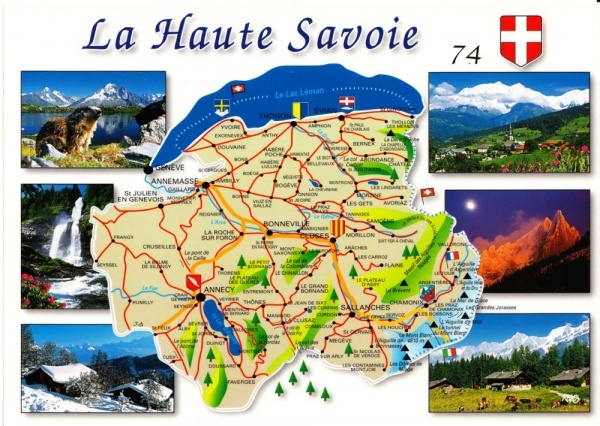 Guylène lives in Sallanches (with a glorious view of Mt. Blanc) and has a studio apartment in Samoens.